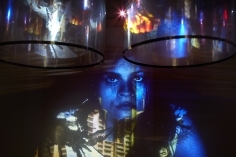 Nalini Malani’s immersive video/shadow play, In Search of Vanished Blood, will premier in New York on September 6, 2013. 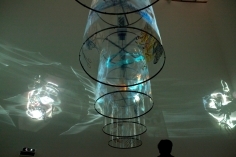 This large-scale multi-media work was a highlight of dOCUMENTA 13 held in Kassel, Germany during the summer of 2012. 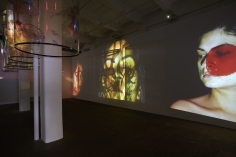 Malani, widely considered the pioneer of video art in India, continues themes explored throughout her illustrious career: violence, the feminine, and the politics of national identity. 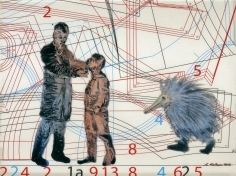 The artist will be present for the opening which will be held on Friday, September 6th from 6-8PM. 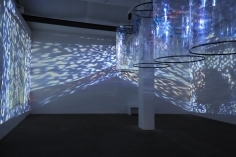 Drawn from history and culture and from her direct experience as a refugee of the Partition of India and the legacy of colonialism and de-colonization, Malani presents a highly personal narrative in an installation that is colossal in size, with mesmerizing layers of imagery and sound that require time for the viewer to move through and absorb. 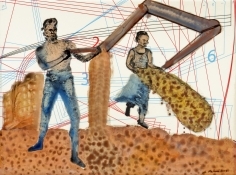 In Search of Vanished Blood takes its title from the 1965 Urdu poem Lahu Ka Surag and is inspired by the 1984 novel Cassandra by Christa Wolf and the 1910 book The Notebooks of Malte Laurids Brigge by Rainer Maria Rilke. 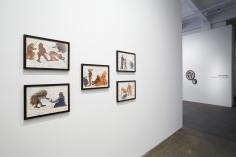 Literary texts, mythology, and actual historical events are a basis for much of the content in Malani’s work. 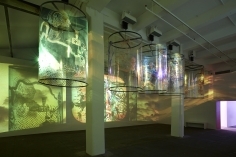 Video projections filter across five suspended, rotating Mylar cylinders featuring reverse painted imagery of both Hindu and Western icons to create a shadow play in In Search of Vanished Blood. 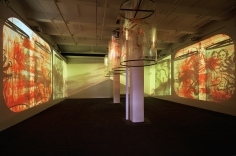 As the cylinders revolve on motorized mounts, images move at different speeds on the walls, like a frieze of moving images, crossing one another in shifting scale and fleeting clarity. 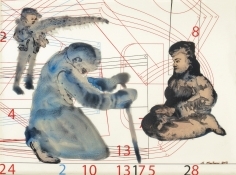 Like fast paced theater in the round, gaining a visual grasp on the whole eludes the viewer. Amplified sound furthers a fully immersive experience. 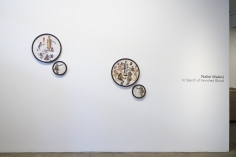 This aesthetic choice to use overlap and simultaneity supports Malani’s intention to offer different perspectives from which to examine the complexities and challenges of cultures meeting. 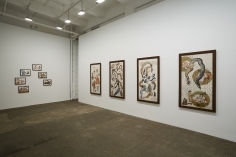 The small gallery will contain a series of Malani’s reverse paintings, which use images and themes also found in the installation. 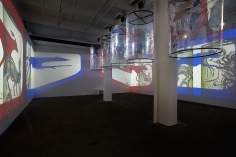 Malani’s long career has encompassed drawing and painting, and the extension of those forms into projected animation, video, sound, and film. 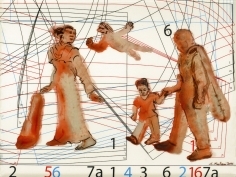 This summer Charta published The Shadow Play as Medium of Memory. 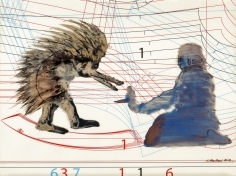 The publication, with text by Andreas Huyssen, compares how Malani and fellow contemporary artist William Kentridge utilize shadow play as a medium of memory. 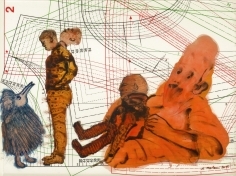 The work of Malani and Kentridge has both been shaped by historical traumas – the Partition for Malani and Apartheid for the South African Kentridge. 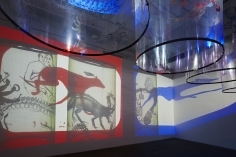 Huyssen says: “In Nalini Malani’s and William Kentridge’s works, the shadow play has morphed into a medium of political memory and intervention. 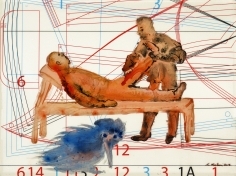 They have invented unique forms of the shadow play not in order to represent traumatic pasts, but to create a flash of the recognition in the Now, as Walter Benjamin might phrase it.” The artist will be present in the gallery on Saturday, September 7th at 3PM for a book signing. 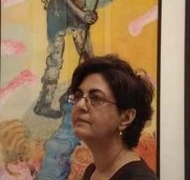 Nalini Malani was born in 1946 in Karachi. She is represented in numerous public collections, including the Asia Society Museum, New York; Centre Pompidou, Paris; Museum of Modern Art, New York, National Gallery of Modern Art, Bombay; National Gallery of Modern Art, New Delhi; British Museum, London; and Stedelijk Museum, Amsterdam. In the past decade alone her solo museum exhibitions have included: 2012 at Art Gallery of New South Wales, Sydney; 2010 at the Musée Cantonal des Beaux-Arts, Lausanne; 2007 at the Irish Museum of Modern Art, Dublin; and 2002/2003 at the New Museum of Contemporary Art, New York. This year Malani was honored with the prestigious Arts and Culture Fukuoka Prize. She lives and works in India and Europe.